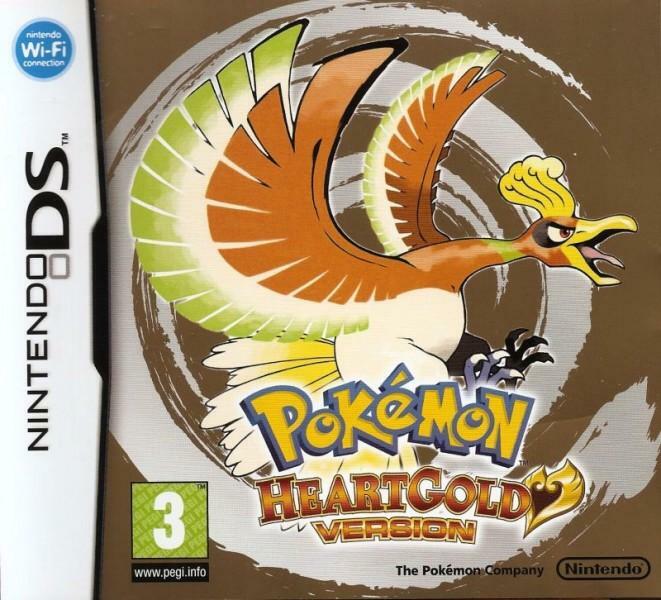 Pokémon HeartGold and SoulSilver versions are paired titles released that count as Generation IV, they are remakes of the popular Gen II titles Pokémon Gold & Silver. Following the success of Gen III's remakes of Red and Blue, it was never going to be long until we saw more classic titles enhanced and given a new lease of life by the power of evolved hardware, in this case on the Nintendo DS. 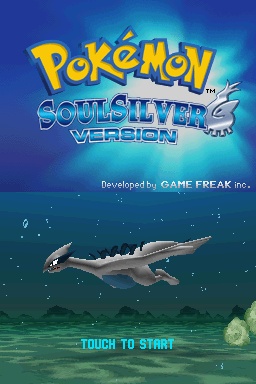 HeartGold and SoulSilver take us back to our adventures in Johto; following the original story, characters, flow and battle mechanics quite closely. In terms of improvements over the original titles; HGSS offers much improved graphics and remastered audio over their original counterparts but aside from this it also expands on the originals somewhat, for example adding features which were exclusive to Pokémon Crystal. There is built in functionality to allow Pokémon HeartGold and SoulSilver to trade directly with Diamond, Pearl and Platinum versions; enabling players to trade Pokémon to HGSS which wouldn't otherwise be obtainable (And vice versa with trading Johto Pokémon to those Sinnoh based titles). Starting from new bark town, Player either Ethan or Lyra beings their journey running an errand from Professor Elm, there the professor gives them a choice of three starting Pokémon either Chikorita, Cyndaquil or Totodile before going to Mr. Pokémon’s house to find out he has made a development about Pokémon eggs, Mr. Pokémon sends them back in a rush as the lab was assaulted by a Red-haired boy, who stole one of Elms Pokémon. On their way there they find this red haired person and after defeating them the player gets to choose the name of this red character, the default name is either Heart or Soul, to a police officer who is investigating the incident. After returning to professor Elm who, excited about the Egg, urges the player to further study it, allowing the player to keep the starter Pokémon and asking them to go through Johto to defeat the eight Gym Leaders and beat the Pokémon League, their first objective is upon Violet City. As they arrive to Violet city, the player has to defeat Elder Li at the Sprout Tower. As they get to the tower Elder Li was just defeated by Silver, he gives the player the Flash Hidden Machine, after defeating Falkner on the Violet Gym, Elm Assistant appears and provides the player with a Togepi Egg. As they go to Azalea Town they meet with Team Rocket, reformed after being disbanded three years ago. They are cutting the tails of Slowpokes, who are considered Sacred on Azalea, in order to sell them for a large profit. Kurt, a local Pokéball maker, is enraged by this, and asks the player for help chasing Team Rocket away to save the Slowpokes. As he tries to get to the Slowpoke Well he falls and hurts his back, asking the player to deal with the Rocket Grunts and saving slowpokes. After doing this Kurt gives the player a Lure Ball, and offers them his services as long as they bring him Apricorns, at least one per day. Bugsy is on the Azalea Gym, after defeating her and defeating Silver once again the player can get into the Ilex Forest to get the Charcoal maker’s Farfetched to get the Hidden Machine for Cut. Passing through the bushes thanks to this Hidden Machine the trainer gets to Route 34 where there is a Pokémon Day Care, right behind Golden Rod City. The player confronts Whitney at the Goldenrod Gym, and on a nearby business they get a SquirtBottle which will allow them to move the Strange Tree who is actually a Sudowoodo passing through will lead to the National Park where every Tuesday, Thursday, and Saturday a Bug Catching contest is held. Soon on Ecrueteak City, Bill is making repairs on a Time Capsule; he will finish short soon enough, asking the player to come visit him at his parents’ house in Goldenrod where he will give the player an Eevee. Morty is on Ecruteak Gym, he has Ghost Type Pokémon and after beating him he gives the player the Fog Badge. There is a burned tower on Ecruteak where the player will meet the Legendary Beasts and they will run around Johto where they can be found and caught. Here the player meets Eusine, who is interested in Suicune. Afterwards, the player goes on through Route 38 and 39 to get to Olivine city. Once there, Silver tells them that Jasmine is not available, taking care of Amphy, the Ampharos on the Lighthouse, unable to fight until Amphy is healed with the Secret Potion, knowing this the player just Surfs to Cianwood City where they meet Chuck, who is on the Cianwood Gym and provides the player with the Storm Badge after being defeated. The Pharmacy gives them the Secret Potion and after getting to the top of the lighthouse, Jasmine, the steel Pokémon trainer, gives them the Mineral Badge. The next step is going to Mahogany town, but the Mahogany Gym entrance is blocked by a man trying to sell Rage Candy Bars. Upon this sight the player goes to Lake of Rage, there are two Rocket Grunts charging 1000 pokedollars to get through, once on the lake, they find a Red Gyarados. Catching or defeating it awards the player with the Red Scale. Lance appears on the shore, revealing Team Rocket’s secret hideout to the player. They then head to Mahogany storming the hideout with Lance. Team Rocket was emitting waves with the Radio towers to force the Magikarp on the Lake of Rage to evolve into Gyarados, causing them to evolve into a Red Gyarados. After defeating the Grunts and blowing the machine, they can challenge Pryce, the Ice Team Leader who gives them a Glacier Badge. The Player gets a phone call from Professor Elm who is sent to Goldenrod Radio Tower to investigate why are grunts trying to contact Giovanni, the player dresses up as a Team Rocket Grunt and is able to enter the turret, Storming through it and defeating the grunts, ascending to the top floor only to discover that the director had been impersonated by a Rocket and that the Director was on the basement, after getting to the basement, Silver appears again telling him he wants to defeat Team Rocket all by himself, the director is on the basement and provides the player with a Card Key, to access the higher floors of the Tower. Defeating and plowing through the Grunts and Executives, the player disbands this Team rocket attempt, finding a Rainbow Wing to find Ho-Oh or a Silver Wing to get Lugia depending on the game version. The player then is able to go through the Ice Path and arrives in Blackthorn City where Clair resides, the Dragon leader of the Blackthorn Gym. After being defeated, Clair makes the player go through a test to prove their worthiness. The player has to enter the Dragon’s Den and make a test, after passing it they get their last badge, the Rising Badge, the player is given a Master Ball by Him, and is requested to visit the Kimono girls to prove their Worthiness. After defeating them, the player will go to the Bell Tower on HeartGold or the Whirl Islands on Soul Silver to find either Ho-Oh or Lugia. After this, the player may surf east from New Bark Town into Kanto, right onto route 26 and then through Victory Road into Indigo Plateau, the player reaches the end of Victory Road and is challenged by Silver. Afterwards, the player may go through the Elite Four, in sequence. Will, the Psychic Type Pokémon Trainer, Koga, the Poison Pokémon master, Bruno the Fighting-type Pokémon master and lastly Karen, who uses Dark Type Pokémon. Lance, the Pokémon Champion, challenges the player after beating the elite four. After defeating them, Oak and Dj Mary arrive and congratulate the player. Lance takes the player to the Back room and transmits all the Player’s Pokémon into the Hall of Fame. This is the end of the first part of the game. After returning as Champion to New Bark Town, they head downstairs to receive a message from Professor Elm who has an S.S. Ticket for S.S. Aqua for them, departing to Kanto where many rare Pokémon Live. The player may get into the ship in Olivine City and is asked by a Sailor to help him find his daughter, after finding her they arrive at Vermilion City in Kanto. Kanto offers the player with several challenges; they can get all the badges from the Gym Leaders in Kanto. First they defeat Lt. Surge, getting the Thunder Badge, then to Saffron City to defeat Sabrina, to get the Marsh Badge, the player may get to the Pokémon Fan Club in Vermilion to get a Lost Item to get it back to Copycat on Safrron City, she provides them with a pass to board the Magnet Train, which gives quick access to GoldenRod. The player then may go to Celadon City to defeat Erica and get the Rainbow Badge. They can go to the Power Plant where they find that an important part of a machine in the plant was stolen and they are unable to get the Machine running. They can go to Cerulean City, where they find a Rocket Grunt who is trying to revive Team Rocket, not knowing that the team was disbanded on Johto thanks to the player. After defeating the grunt they admit that they dropped the Missing Part on the Cerulean Gym, the player goes there and retrieves the machine part, placing it on the power plant to make it run again. Now the player can go through the Rock Tunnel, getting to Lavender town, the Pokémon Tower is now the Radio tower for Kanto, the director inside of the tower gives them a Radio Card to listen to the stations in Kanto. Going through the Silence Bridge the player arrives at Fuchsia City, where they can defeat Janine, using Poison Pokémon and giving away the Soul Badge. Then they head back to Cerulean cape where Misty and her boyfriend are hanging out, her boyfriend gets angry and runs away, until they realize the player is a challenger. Defeating Misty provides the player with the Cascade Badge. Moving on, the player goes back to Vermilion City and the player recalls on a large Pokémon sleeping outside the entrance to Digglet’s Cave, they use the Poke Flute Station to wake the Snorlax, after fighting it, the player goes through Diglett’s cave and is able to get to the Pewter Gym to face Brock and get the Boulder Badge, following down through Viridian Forest into Viridian City the player finds out the Leader of the Viridian Gym is not there, they however can surf to the south of Pallet town into Cinnabar Island which is burnt down due to a Volcano. Blue stands there alone, mentioning how the Gym was relocated to the Seafoam Islands, Blue returns to his own Gym and the player can go to Seafoam Islands to face Blaine, the Fire-type Gym and obtain the Volcano Badge. Finally, the player goes to Viridian City and is able to Challenge Blue. Blue is a hard to beat trainer, and after defeating him the last Kanto Badge is awarded to the player, the Earth Badge. Then the Player may get to Professor Oak on Pallet Town, Oak provides the player with the Hidden Machine 8 and lets them enter Mt. Silver, a dangerous place full of strong Pokémon. On the top, Red, the former Pokémon Champion is training. The player is faced by Red who has no words, and challenges them to a battle. After defeating him, the player is now the Champion of Kanto as Red walks away. Although many features were kept the same from the Gold, Silver and Crystal games, the remakes did add some new assets to the game whether on the graphics level, sound and even the gameplay. The legendary beasts now have remixes of their battle soundtracks from Pokémon Crystal, while both Lugia and Ho-Oh have new unique ones. The male character is redesigned and replaced by Ethan, while the female one is replaced by Lyra. While Cianwood City and Ecruteak City shared the same soundtrack in the Gold, Silver and Crystal games, they now have different remixes of the same theme. The second recording room of the Goldenrod City Radio Tower is replaced with an Observation Deck. The player can now view both the Kanto and the Johto badges they have collected, unlike Pokémon Silver and Pokémon Gold, where only Johto badges could be checked. If the player checks their Pokémon stats, they'll sometimes notice that some stats are written in blue while some in red. The red ones, are the stats increased by the Pokémon's nature, while the blue ones are those decreased by it. The closed Kanto Safari in Fuchsia City is now replaced with Pal Park. Team Rocket Grunts and Executives got redesigned, with the addition of four new executives known as Proton, Petrel, Archer and Ariana. Many Gyms were redesigned and enhanced, with the addition of puzzles to some gyms like Vermilion CIty Gym. Some gyms like Cinnabar City and Viridian City Gyms now have more opponents. Players can now customize their Pokégear, as various skins were added for it. 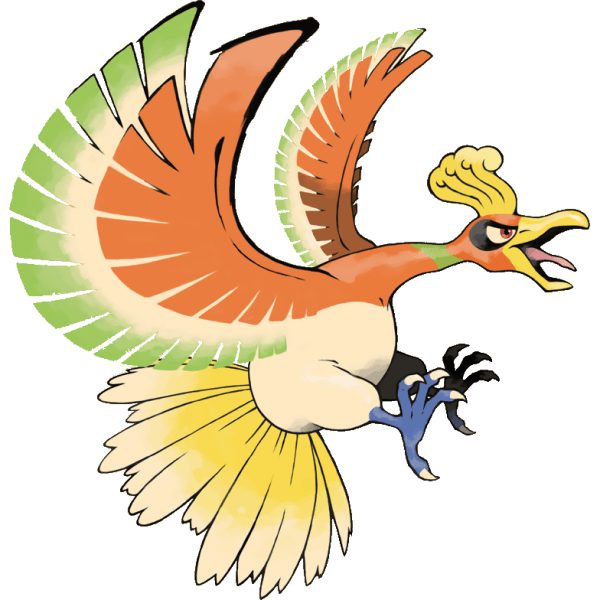 The Kimono Girls in HeartGold and SoulSilver are now important characters, as they play an essential role in meeting the legendary Pokémon Lugia or Ho-Oh. Each of them has to be battled and defeated, then the player will gain access into the legendary Pokémon location, where the Kimono Girls will conduct a ritual to summon it. Many legendary Pokémon can now be found in the games, like Groudon in HeartGold and Kyogre in SoulSilver after the player has defeated Red. If they show either of them to Professor Oak, they can encounter Rayquaza. Latias and Latios can also be caught in game, respectively, in HearthGold and SoulSilver, while they roam randomly around Kanto. Other legendaries, such as Giratina, Palkia, Dialga and Arceus can be obtained through special events. Unlike Pokémon Gold and Pokémon Silver, the remakes make the encounter with the legendary Lugia or Ho-Oh a must, before the player can battle the Pokémon League. The Kanto Gym Leaders can still be can still be challenged in any order except for Blue who'll only be available, after the other seven badges are collected. Check out our strategy guide for the Gym Leaders of HGSS here. The Pokéathlon located in Johto, west of the National Park, is a new featured added to the remakes. The player will have to choose three Pokémon with which they'll enter in different contests. The mini games and challenges played, will be based on the player's choice, who'll have to choose one of the general contest types : Speed, Stamina, Jump, Skill or Power. Winning mini games will earn the player points they can buy various rewards with, among which are many rare items like the evolution stones. After acquiring the National Pokédex, the player can use the move Headbutt on trees to find Pokémon from the Sinnoh and Hoenn Regions. Headbutt is no longer given as a TM but is thought from a Move Tutor, as many times as the player wants. Eusine who only appeared in Pokémon Crystal, reappears in the remakes. Two items can now be selected, instead of one, with the running shoes being able to be selected permanently. After defeating Red, the player can earn starter Pokémon of the Hoenn and Kanto Regions from Steven Stone and Professor Oak. Many Pokémon will now learn moves they couldn't learn in Pokémon Gold and Pokémon Silver. 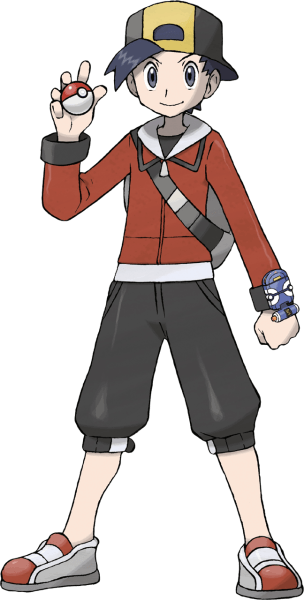 The player's rival, the red haired boy, is named "Passer-by Boy" when they first meet, unlike the older versions of the games where he was simply noted as "???" In HeartGold and SoulSilver, special Pokémon such as Snorlax, will respawn if they were ignored or knocked out by the player, after defeating the Elite Four. The player will now pass whirlpools, instead of making them vanish using the Whirlpool move. The games feature a new Cell Phone functionality, where the player can have a list filled with endless trainers contacts, whom they can re-battle depending on time and day factors. Berries can no longer be collected from plants on the field, as only Apricorns will be found on them. Few items were changed into the category "Key Item" like the RageCandyBar, which prevents equipping them to a Pokémon and trading them with another game. Both Pokémon HeartGold and Pokémon SoulSilver, feature all the Pokémon up to the fourth generation, including the legendaries. The Pokémon put on the top of the player's Pokémon list and chosen as partner, will now appear behind the player and follow them around, except in certain locations or during certain actions like surfing or cycling. If the Pokémon is big in size it won't follow the player indoors. 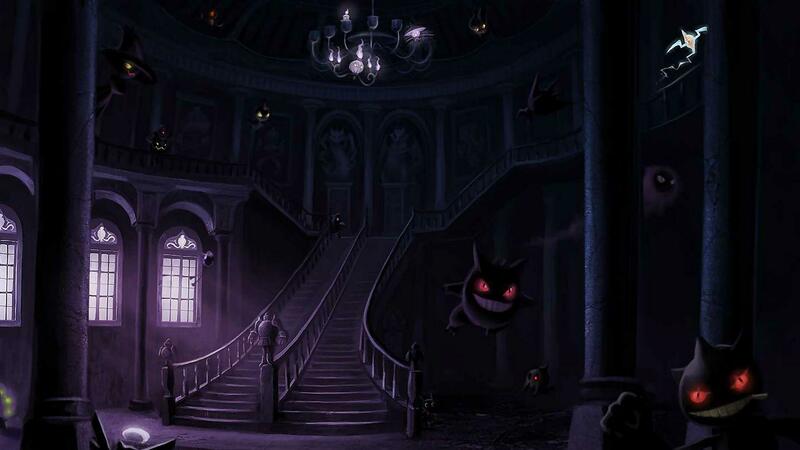 Some Pokémon cannot be encountered within the games, while some others are only present in one of the games. The Swarm Pokémon feature also returns with the remakes, allowing the player to catch specific Pokémon after listening to radio broadcasts about their locations on the map. Thanks to the Nintendo Wi-Fi Connection feature, the player can battle and trade with other players that own the same games. They can also link the game to the rest of the fourth generation Pokémon games, including Pokémon Pearl, Diamond and Platinum, allowing the player to get the Pokémon which aren't available in HeartGold and SoulSilver. Linking the games to Pokémon Ranger: Guardian Signs, after the player finished certain Wi-Fi missions on there, will enable them to transfer the legendary Deoxys to the remakes. 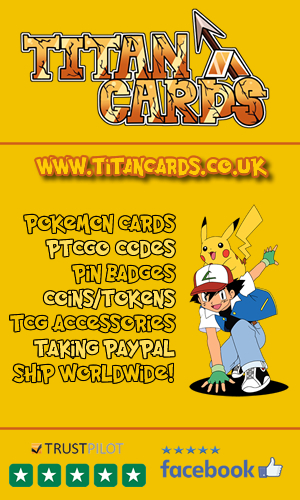 Check out these videos of Pokémon HeartGold and SoulSilver including TV Commercials, Intro videos, trailers and more. A U.S TV Commercial "Remembering Pokemon Gold and Silver"
Certain retailers bundled special figures with pre-orders. 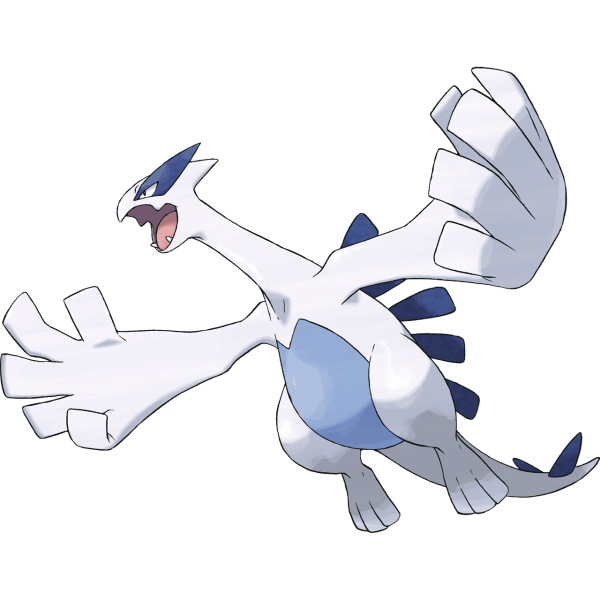 With pre-orders of HeartGold you'd get a Ho-Oh figure, pre-orders of SoulSilver would land you Lugia and in Japan you could even get an Arceus figure from some retailers by pre-ordering the dual pack containing both games. HeartGold and SoulSilver were released in celebration of the 10th anniversary of Pokemon Gold and Silver. Many classes of trainer use the same in-battle sprites as they did in Pokemon Diamond, Pearl & Platinum versions. This includes Psychics, Hikers etc. 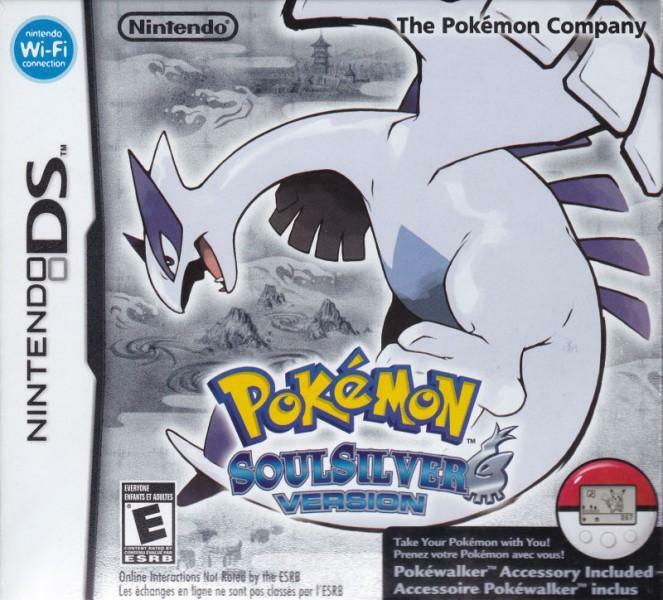 HeartGold and SoulSilver features many past champions from previous core series games including Blue from Red and Green versions, Lance from Gold & Silver, Steven Stone from Ruby & Sapphire and even Cynthia from Diamond and Pearl makes an appearance. If you have a Snorlax, interact with it at Mt. Silver in either game and it will say "SNORLAX is feeling very eager". This is because Red in Mt. Silver also has a Snorlax. Remember the Kimono Girl's dancing to summon a member of the tower duo? these dances mostly consist of circular motions. In the HG version of the games they move clockwise in the circles and in the SS version they are moving counter clockwise. The egg that Professor Elm gives us that hatches into Togepi which knows the move Extrasensory; meaning the father of Togepi was either Noctowl or Hoothoot. Once you've beaten all 16 gym leaders in HGSS you can obtain an item called GB Sounds, standing of course for Game Boy sounds. 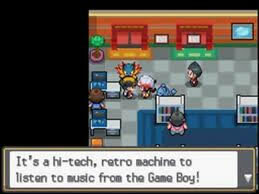 This item can be used to play music from the original Pokémon core series titles on the GB and GBC. The music doesn't sound exactly like it would have mind you, this is due to the original music being in a MIDI format which 8-bit sound systems don't seem able to emulate exactly. The credits of both HeartGold and SoulSilver feature Gym Leaders, The Elite Four and even some bad guys for the first time in the series. Since HM05 changed from Defog to Whirlpool, this makes HGSS versions the first games in the series where all HM's are moves capable of dealing damage. There are either gym leaders or elite four members who specialise in all Pokémon types that existed at the time with the exception of only a Ground type specialist. This gap is filled to an extent by an unlockable battle where the player can face Giovanni (a well known ground type specialist) during a special event. HeartGold and SoulSilver were the last core series games to include a Game Corner. Pokémon HeartGold & SoulSilver sold a combined 12.72 million units, netting 763 million USD worth of sales. This is nearly 5 million copies less than fellow DS titles Diamond & Pearl, but as one would expect remakes don't seem to reach the same amount of sales as original titles, certainly not in the Pokémon core series at least. Despite the above however the games were very succesful in their own right, selling 1.48 million units in their first 2 days of release in Japan alone, and being the best selling videogame in Japan in their release month of September 2009. Within 2 weeks over 2 million units had been sold in Japan. Later that year on December 18th, 2009 sales in Japan were recorded at breaking the 3.22 million mark. Meanwhile in Australia; a relatively new distribution region for Pokémon titles, a reasonable (if incomparible) 50,000 units sold in the first week of release, where in the U.S HeartGold & SoulSilver sold 1.73 million units in their first month of release; interestingly 1.01 million of the sold units were SoulSilver titles, and 0.76 million were HeartGold. It's always interesting to see of these paired titles which one was more popular than the other, but it's quite difficult information to find, with most sales figures sources only showing combined sales figures. Which one sold the best aside however, the combined sales of the two titles were enough to make them the worlds best selling videogames in March 2010. By the 6th of May, 2010 8.4 million units had been sold globally, at the end of July 2010 the 10 million mark had been broken and the final recorded combined sales figure had reached 12.72 million by March 2014. HGSS hold very strong aggregate scores of 87.83% over 40 reviews at GameRankings and 87/100 over 59 reviews at Metacritic. That's a good few points higher than Fire Red and Leaf Green infact. HGSS also spots in Metacritic's Top 20 DS games of all time. Craig Harris reviewed the games for IGN scoring them 8.5/10 and commenting "The Pokewalker is the Pokemon equivalent of the free prize inside a cereal box: you might find yourself buying it for the gadget than the game itself, but it's the game itself that contains all the deliciousness.And what a tasty cereal it is". Nintendo Power scored these remakes a colossal 9.5 out of 10. Nathan Meunier from GameSpot wasn't as warmed to HGSS as he had been to some past titles but still scored them a pretty good 8/10.